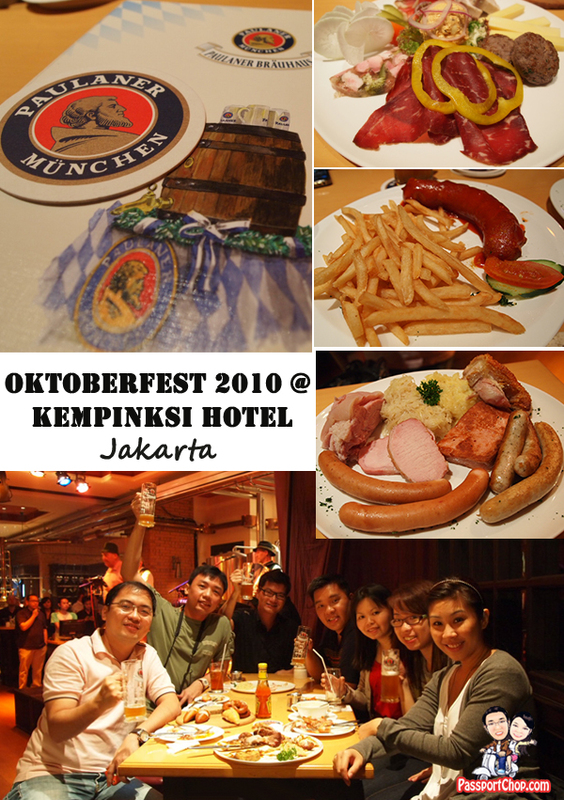 There are a number of restaurants in Jakarta Hotel Kempinski but if you are here in October, you have to go for the OktoberFest celebrations at Paulaner Brauhaus Kempinski. 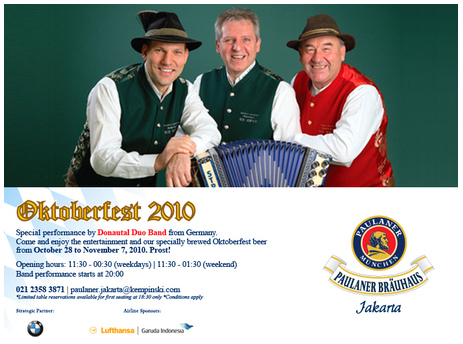 Expect lots of good Bavarian food, lots of fun, dancing in lederhosen, great music and entertainment, complemented with freshly brewed Oktoberfest beer! You can’t get a more authentic Oktoberfest beer anywhere else – as with tradition, Paulaner Brauhaus’ Oktoberfest beer is freshly brewed onsite according to the Bavarian Purity Law, which stipulates that it should contain nothing more than water, yeast, hops and barley malts. The Oktoberfest beer served follows the recipe from the early 19th century, with its color and content identical to what was served 200 years ago, amber-color with full-body and has a malty-flowery aroma. The food is also unrivaled, especially its succulent and crispy pork knuckles and sausages. The in-house brewed Oktoberfest beer further complements these yummy dishes. HAHAHAHAHA so funny the video! Wow! Good one! Ur camera must have attracted him to our table LOL! Hmm.. Tingyi, you like big butts is it? HAHA that’s a good one!!! wow! the sausages are…. YUMMY!! !